The 2018 Annual Defence Forces Carol Service takes place at Arbour Hill Church on Wednesday 12 December at 8pm. This is a free event and all are welcome. Free Parking at the National Museum opposite Arbour Hill. Retiring collection to be donated in full to the Peter McVerry Trust. Our annual Defence Forces Carol Service marks the beginning of the Christmas season for many of our colleagues and friends. This year we will begin our Service by listening to a rendition of ‘Christmas 1914’ sung by Private Araon Kearney. 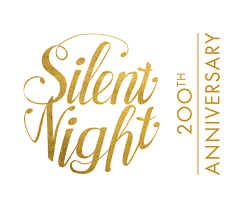 This song tells the famous story of the unofficial Christmas truce from World War 1 and the power of Silent Night, which is 200 years old and probably the best known Christmas Carol of all time! On Christmas Eve of 1818, following the breakdown of the church organ, Father Joseph Mohr, a young priest in Obendorf, Austria, pulled out a poem he had written several years before called “Stille Nacht”. He took his poem to the schoolmaster and organist of a nearby town, Franz Xaver Gruber. He asked that Gruber write a melody to accompany the poem on guitar. In several hours, Gruber had the music done and the carol was played for the first time that night at the Christmas Eve service. During the Great War, on Christmas Eve of 1914, an unofficial truce took place in the trenches around Ypres. As darkness fell, the entrenched German and British soldiers engaged in a carol sing-off. Silent Night was sung in French, English and German simultaneously. It was apparently the one song that all the soldiers on both sides knew. They then shouted Christmas greetings to each other and suggested meeting in No-Man’s Land where according to eyewitness accounts they shook hands, exchanged cigarettes and even played an impromptu football match. On this Christmas of 2018, I hope the sentiments expressed in ‘Silent Night’ with its power to inspire us towards peace, will continue to touch our hearts. We are all sisters and brothers and whatever is of concern to one, needs to be of concern to us all. Surely, this is the true message of Christmas? We remember all Defence Forces personnel who are serving overseas at this time, in the work of peace among our vulnerable sisters and brothers. They are great ambassadors for Ireland and the support of their families at home is much appreciated. We are delighted to be joined for this years Carol Service by the Rev Dr David Coulter, Chaplain General to the UK Forces. Rev David will offer a reflection on Silent Night and Christmas Peace. On behalf of the Chaplaincy Service, may I wish everyone in Óglaigh na hÉireann, serving and retired, along with your families and our friends all around the country and beyond a very Happy Christmas and every blessing for 2019! Go bhfága áilleacht na Nollag sonas ort go deo.